The tracking of successful completion of any action on a website by the user, like purchase, sign-up, or any action which is considered as a final goal for the client. A conversion is an action that a person takes on the website such as clicking on a particular button, filling a form, adding an item to the shopping cart or viewing a particular page. These actions are defined by the advertiser as the campaign goals. Conversion tracking code often referred as conversion pixel can be placed on any page of the website. E.g. : We are running a Printer campaign and on the Landing Page there is a SHOP NOW button that takes us directly to the shopping page. So, in this particular case the number of people that landed on the shopping page are our conversions. Any event which can help to know the success of the campaign can be tracked. A conversion pixel is generally a 1×1 image fired through a short line of code which is placed on your confirmation page or thank you page. It fires whenever any user reaches to the confirmation page which helps in capturing data of number of converted users. Users that has crossed the confirmation page are the converted users and the ones who reached to the website but didn’t purchase or did any successful completion of conversion event they fall into imprinted pool and are called imprint users or also non-converted users. *It is not a general syntax but one of the form of conversion code. Conversion rate is the one which tells about the conversion success of the campaign. It is the number of conversion divided by number of impressions served. Higher is the conversion rate higher is the success of campaign. ROI: It helps in calculating the Return of Investment for the campaign. e.g. : If the pixel is placed on the THANK YOU page, we can calculate the total revenue from the number of conversions and the product amount. This revenue is the ROI for the amount that was spent. Keywords / Creatives: Helps in tracking the best performing Ad/ keywords by measuring the number of actions on all the creative concepts. e.g. : When we are running 3 different creatives for a real estate campaign, but the one with the red bungalow gives maximum conversion, so we can use that creative for future campaigns. Devices: Best performing platform/ device can be figured out by the actions done on each device. e.g. : While promoting a college max number of form submissions were done from desktop and very few from mobile. The simple working of conversion tracking starts when the user clicks on an ad or a banner, clicking on the ad fires a cookie on the user’s browser which keeps the record of the time, site, banners , placement, etc. (information that can be required to capture the conversion). These records help in tracking the conversion if the user is not converted at the same time but gets converted next time when it comes directly to the website, this conversion recorded goes to the agency/ network who gave the ad impression. A visitor views the ad on 1st January; the ad server simply records an impression on January 1st. A visitor clicks on the ad and begins browsing the advertiser’s store on January 1st. 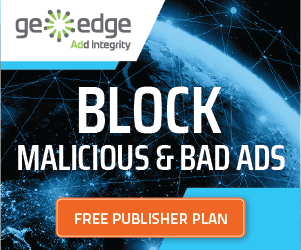 The ad server records a click on January 1st and a cookie is created to track conversions and it could last up to 30 days (default) after the click. This visitor eventually makes a purchase on January 1st and gets to the “Thank You” page that contains the conversion tracking code. The ad server records this conversion and awards it to the original click. A zone is also credited if the clicked ad was served via that zone. If a purchase was made but there was no recorded click, our ad server would record it as a view-through conversion. Eg: If a conversion pixel is placed on the THANK YOU page, and the user that has made the payment is directing to the THANK YOU page. The number of users that made the payment will be accounted as the number of conversions for that particular campaign. Conversion can be recorded on the basis of impression or click. The impression and click relevancy is valid only for a certain period of time and this time frame is generally termed as LOOKBACK WINDOW. View through conversion: This conversion results from the impression that is served to the user. In this method the user doesn’t clicks on the ad but return on the site later. Lookback window for view through conversions is always larger than click through conversion. It is beneficial for branding campaigns which are impression based and measures the conversions where user saw the ad but didn’t click. Click through Conversion: When the user clicks on the ad and then convert, the server records a click through conversion. In an attempt where the user has both clicked and viewed the ad prior to converting, click interaction is given priority. Conversion to be recorded under click through does not necessarily has to complete at that instant but also if the user comes directly to the website and converts but has previously clicked on the ad will be considered as click-through conversion. Common Problems while tracking Conversions? Pixel on the website page doesn’t fire though it was placed on the page. When there are multiple conversion pixels placed on the page there are chances of huge discrepancies. So it is advisable to place single pixel on a page. Sometimes user clicks on the page multiple times in few seconds and server may count single click and multiple visits. A very common problem is the page loading time which sometimes extends due to bad internet or heavy traffic on the site. This results in less conversions as the bounce rate exceeds. Sometimes the Conversion pixel is placed on the correct page but not exactly as it should be. The webmaster should implement the code very carefully. The path taken by the user to complete a conversion. This path gives us the information for the conversion such as Ads or keywords that lead the people to convert. Top Paths: It shows the most common path that most customers take to complete a conversion. Thus, we get information about the ads that were shown/ clicked, or both, before converting. Top path can be measured in terms of impressions, clicks and transition (repeated clicks/ repeated impressions). Path Length: The total number of Ad impressions or Ad clicks including the last one that preceded the conversion defines the Path Length. Time Lag: The total amount of time from when the user clicks/ views the ads until conversion. This can be measured from First- impression/ click or Last -impression/ Click as per the requirement. Last interaction is the interaction that immediately precedes the conversion. The higher these numbers, the more important the channel’s role in driving completion of sales and competition.e.g. : A user clicks on the same printer ad on 3 different days but ordered the printer on the 3rd day so for this conversion the last interaction will be considered. Assist interaction is the interaction that is on the conversion path but is not the last interaction. The higher these numbers, the more important the assist role of the channel. It indirectly helps in conversion and these data can also be used for retargeting. First interaction is the first interaction of the conversion path, it’s a type of assist conversion. The higher these numbers means more initiation of new sales and conversions.